TaaPet joins the people’s struggle against our neo-liberal economy of worthless pigs. We’re holding a spontaneous street show with a massive line-up, including Mujahideen, Zaka, Oz Malul and Michel La Histerique. Wednesday, August 3, from 19:00. 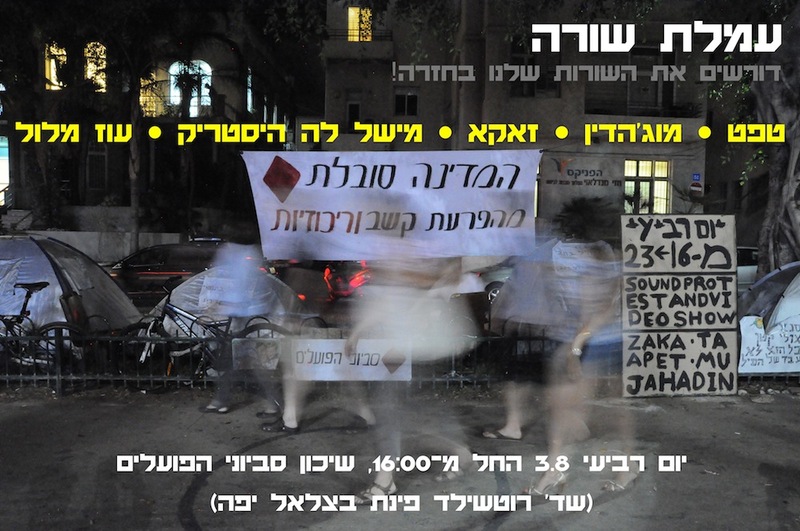 Workers projects on Rothchild and Bezalel Yaffe st., Tel Aviv.